On Friday night, we had two couples over for dinner just because. We actually invited several couples, flaked because some other friends invited us to stay in their cabin in Big Bear, and un-flaked when we realized we couldn’t make the trek without chains. We are bad people and they should have just ditched us, but I’m so glad they didn’t. Don’t laugh, but I follow Tori Spelling on Twitter and she is an amazing hostess/party planner/mommy/woman. I love all her creative ideas with food and decor. 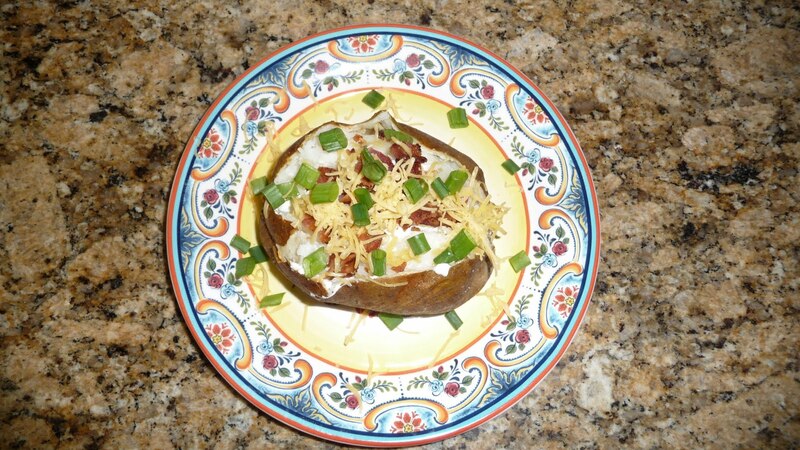 The other night, when the Golden Globes were on, she posted a picture of her baked potato bar and I fell in love. Easy, but so so fun and delicious. I just had to try it for our dinner party. I was too rushed to take pictures of the actual set-up, but here is a mini version I recreated tonight. 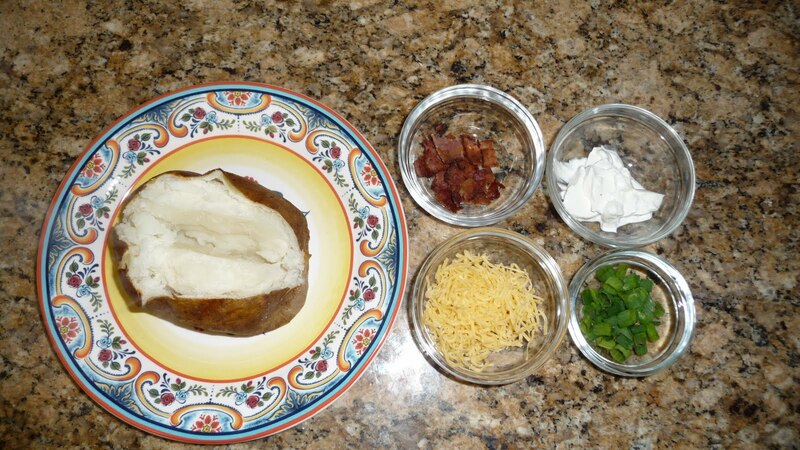 My favorite toppings are bacon (real, no fake baco bits for me), sour cream, cheese, and chives. On Friday, I also put out avocado, salsa, green bell peppers, chili, olives, and butter. It was so fun to see everyone’s creations! This one was Ginger’s. 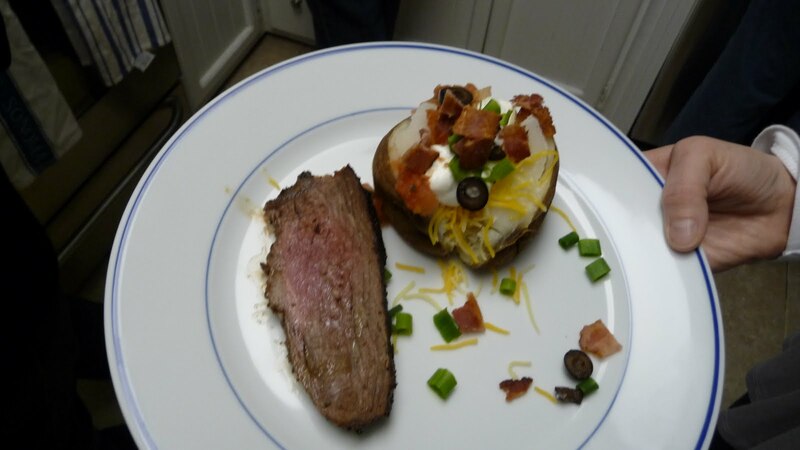 The husband BBQed tri tip and I threw together a salad as well because while I can eat just potatoes for dinner, normal people usually like something else to go with it. 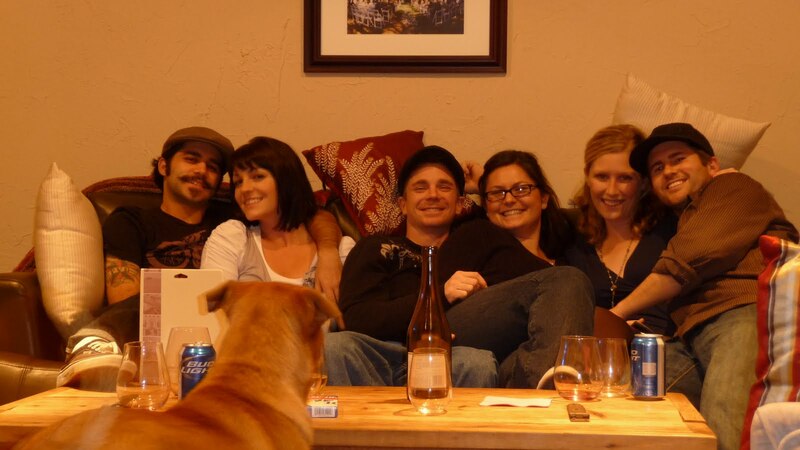 This is all of us after dinner, some wine (and I spy beer) and a fun new game called phase something?? I love how Teddy is staring at us while we pose for the timer. 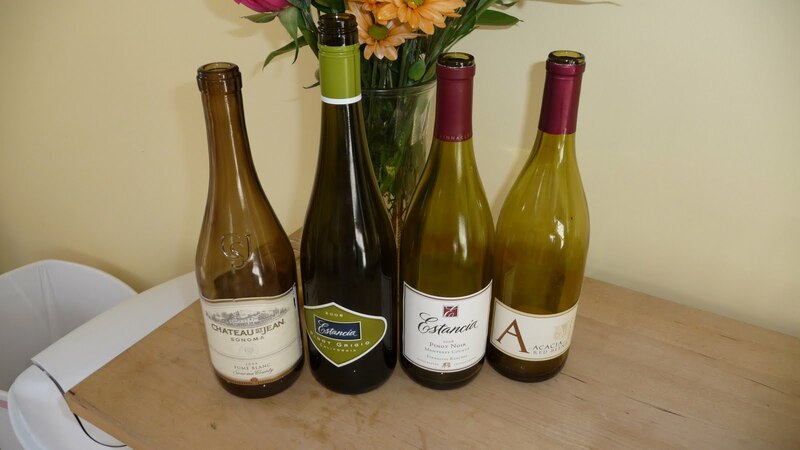 The next morning, we rounded up the empty wine bottles… four isn’t bad for six people, right? Me too! It was delicious – especially since I coated the potatoes with olive oil and a bit of salt and didn't bake them wrapped in foil. The skins were so tasty and crispy, yum!